MecklerMedia is pleased to announce that Hewlett Packard (HP Inc.) is confirmed to be an exhibiter at the Inside 3D Printing Singapore which will take place at the Suntec Singapore Convention & Exhibition Centre on the 26th-27th January, 2016. HP Inc. will display product samples as well as a series of video demos of its latest 3D printing technology. Representatives from HP Inc. will also lead a seminar at the event discussing the disruptive potential of additive manufacturing, highlighting its global impact and their position in the 3D printing ecosystem. The discussion will further explore how HP Inc., through its history of innovation and advancement in inkjet printing, aims to breakdown the industry’s barriers and advance technological growth within the additive manufacturing sector. Further confirmed sponsors and exhibitors include: SLM Solutions; UCT Additive Manufacturing Center Singapore; Dremel 3D; Engineering Computer Systems (ECS); Eye-2-Eye Communications Pte Ltd.; RDP Labs Pte Ltd; and more. Now in its third edition, Inside 3D Printing Singapore will be co-located in 2016 with MecklerMedia’s RoboUniverse and Virtual Reality Summit. Inside 3D Printing attendees will have access to robotics and virtual reality seminars and exhibits. Alan Meckler, CEO and Chairman, MecklerMedia. 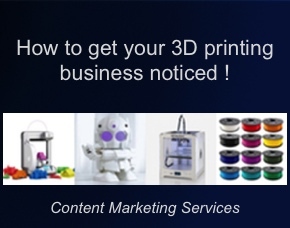 Find out more about the Inside 3D Printing Singapore event or register directly.